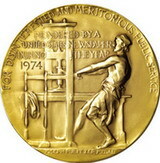 A Person Who Has ADHD Won A Pulitzer Prize! I am happy to present you with an interview I recently conducted with Pulitzer Prize winning investigative journalist, Katherine Ellison. I think it is great to have a Pulitzer Prize winner as a part of our community. If you didn’t know it yet, you do now, Katherine has ADHD and so does her son, Buzz. 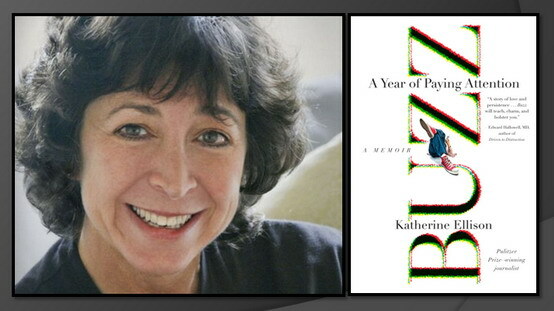 In fact, Katherine wrote a book about her experiences with her son and their efforts to cope with ADHD! The book is titled Buzz and we’ll talk a little about that in a moment. Katherine has become a very active advocate for the ADHD community and does quite a bit of public speaking, so if your an event organizer, we’ll let you know how to book her for your event. Let’s get to the interview! I am sure you will enjoy it. She’s an amazing woman! Q: Since publishing a review about your book Buzz: A Year of Paying Attention, I’ve been asked how you won your Pulitzer Prize. Would you tell us a little about that? Sure. This was back in the days when dinosaurs roamed the earth, as my kids like to refer to my youth, when I was in my 20s and Ferdinand and Imelda Marcos ruled the Philippines, with substantial U.S. backing. Together with two other reporters at the San Jose Mercury News, Lew Simons and Pete Carey, I spent several months tracking the Marcoses’ clandestine purchases of U.S. real estate. The series caused such a commotion in the Philippines that Marcos called for a special election to confirm his supposed legitimacy. My editors sent me to the Philippines half a dozen times, and I got to cover Marcos’ overthrow by a popular revolution. Later I wrote an unauthorized biography of Imelda. Q: Buzz is an exciting book and although you make the challenges clear, it’s very funny, too. Why so humorous? Q: With publishing Buzz and revealing to the world that you and your son have ADHD, have you noticed any difference in the way people treat you and/or your son? No! I was hoping for lots of glory and riches and sympathy, but life has become pretty routine. Q: You’ve used an example of how you were sued for $11 million in connection with your ADHD. How was that connected to ADHD? This was two years before I won a Pulitzer prize, and about 15 years before I was diagnosed with ADHD. I hadn’t yet learned that I need to eyeball everything I write, including these answers, several times before pushing that “SEND” button. I was a new reporter and in covering a murder trial, I incorrectly and much too hastily reported that a prosecutor implied that the wife of a defendant had conspired in the crime. The wife sued me and the paper. Ironically enough, new evidence emerged several years later with the result that the wife was arrested and remains in prison to this day for the murder. She dropped her suit. Q: In your book you come across as a very positive, optimistic person (who works at a frantic pace). Has that helped you with dealing with your ADHD and your son’s? Thank you. I think. My optimism and frantic pace are also coping mechanisms; it’s like Avis trying harder. I think they’ve probably had mixed results. I overwhelm some people, including my son at times, with my determined enthusiasm. But it beats being depressed. Q: How are you and your son doing now? Q: Are you getting ready for the new school year? I am still suffering through summer! Three more weeks and my two kids are unfortunately way under-scheduled, other than Buzz’s part-time job. Q: What is the most important tip you can give parents getting their ADHD child ready to go back to school? Be relentlessly positive, with a frantic pace. No, just kidding. But do remember to focus as much or more on what’s going right. Q: Do you meet with teachers and discuss your son and ADHD with them? Oh yes. Although much less now that he’s in high school. I have found, by the way, that our public high school is much better at understanding and supporting learning differences than the fancy-schmancy private school I had such high hopes for at the end of Buzz. Q: How have new teachers reacted when they find out he has ADHD? Depends on the teachers. Most seem to take it in stride. I wish in general that they cared more. Q: What’s the funniest thing Buzz has ever done that was clearly contributed by his ADHD? Oh perhaps doing the Macarena in his chair when he got bored in Spanish class. His humorless teacher gave him a detention. Q: How do you handle it when Buzz’s ADHD influenced behavior becomes overwhelming? I take really good care of myself. Lately, because of another family crisis, unfortunately involving my mom, I’ve been going to yoga twice a week, even though my favorite class is a 20-minute drive away. Chocolate also helps. Q: What helps you to cope with your ADHD the most? Mostly exercise. I’m an exercise junkie; I have to do something extreme every day. I’d like to say meditation also helps but I’m very lame in that department. Q: Since you were diagnosed later in life, did you discover that you had developed “survival skills” to cope with your undiagnosed ADHD behaviors? Alas, one of my major “survival skills” became high anxiety, which has meant I’ve had to come up with even more survival skills to cope with that. Q: Do you see Buzz creating his own set of survival skills? If so, do you help him with them so they do not become counterproductive? Yes, and lately I’ve been encouraged to see some are actually positive. Like the gym. Q: Why do you think people with ADHD tend to be amazing one minute and self-destruct the next? We seem to have an unusual amount of energy and enthusiasm, ,which can be very creative and exhilarating and also risky and impulsive. Q: Do you have advice for not self-destructing? Be very conscious of the risk. Pay attention to it and to your need to keep calm. Make calmness one of your daily priorities. And then understand that mistakes and crises will happen, and that it’s what you do afterwards that really counts. Take responsibility when you screw up, forgive yourself and others, and move on. Q: Michael Phelps recently became the record holder for the most medals in all of Olympics history and he has ADHD. As a parent, what do you think of that? I think it’s really helpful for parents, in particular, to hear of stories about people like Michael Phelps — and Todd Rose, the high school dropout who is now at Harvard, and Richard Branson, and so many others — because it proves that ADHD is neither completely a curse. It just depends on how you confront and manage it. Q: What’s the funniest thing you have ever done that was clearly caused by ADHD? That’s printable? I once broke my leg falling into a manhole while chasing after Nicaraguan president Violeta Chamorro, who was on crutches at the time. I attribute this to ADHD because it was so impulsive. I’d already filed my story so really didn’t need a quote from her, but got carried away in a mob of reporters. Q: You’re a popular public speaker, talking about ADHD. Can you tell us a little about that and how you can be contacted if someone wants you to speak at their event? Thank you, Bryan! Emailing me directly is probably best. I have a lecture agent but have ended up arranging most of my talks by myself. Try kathyellison@comcast.net and please be patient; I respond to every email. I also hope readers join the Facebook page for “Buzz: A Year of Paying Attention,” which I update with articles of my own and others. Q: You’re a great advocate for the ADHD community. Why? What compelled you? Thank you. And you’re not so bad yourself, Bryan! I spent so many years thinking I was merely a screw-up that it came as a great relief, which I know is a somewhat common reaction, to be able to put some nice clinical initials on it. I also feel particular empathy for moms who are struggling to help their kids – it’s one heck of a spiritual journey – and feel very good when I can lend support. Thank you for the interview, Katherine. I am honored. It was informative and a lot of fun! Did you enjoy the interview? Let us know in the comments. ADHD is not the end of the world, people with ADHD can succeed! (Click Here to Tweet that.) – Subscribe, like my page on facebook or join the ADDer World Social Network. Next week an exclusive interview with Dr. Lara Honos-Webb! Previous post: Michael Phelps, A Person With ADHD Is The Greatest Olympian Ever!